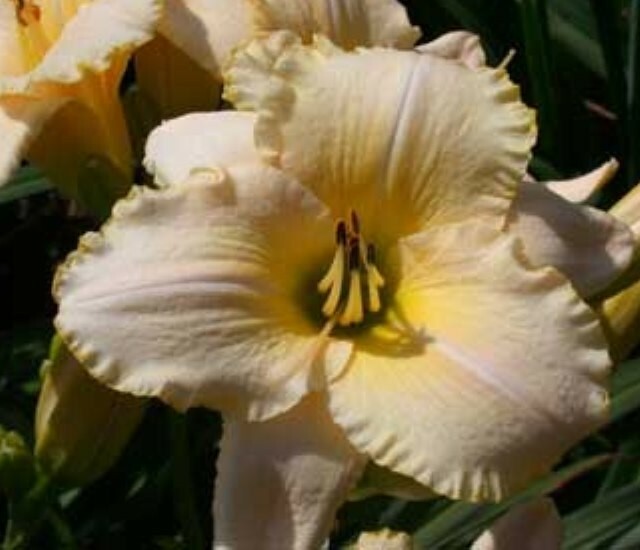 Daylily 'Anglican Church' is a late flowering blend of creamy pale yellow and ivory, blushed pink with an ornate bubbly edge of lemon gold. The throat is chartreuse green. The form is large, flat and wide with good substance. The scapes are tall, strong and erect.